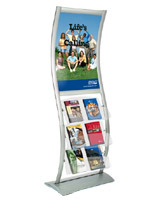 Need to sell or dispense literature on a budget? 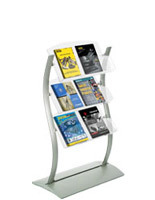 These cheap magazine racks are made to showcase pamphlets, leaflets, catalogs and other publications with their open design. 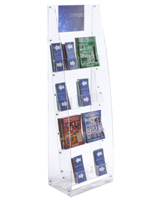 This type of display is excellent for retail stores where they can keep large quantities of periodicals ready for customers. 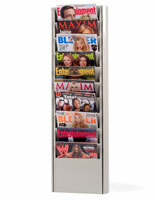 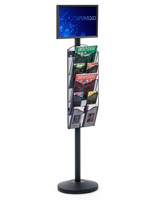 Each of the cheap magazine racks has multiple pockets for showing a variety of choices to onlookers, and their high visibility design allows them to see the cover. 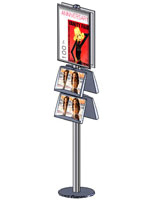 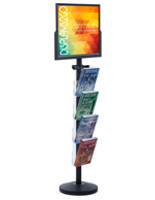 Also useful for trade shows, the displays can promote companies with catalogs featuring their merchandise and services to leave passersby with something to remember them buy. 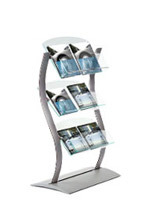 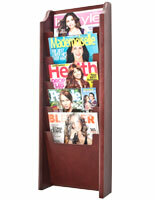 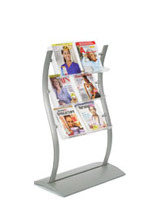 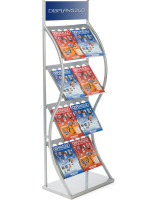 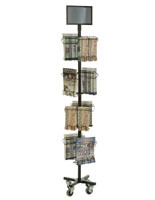 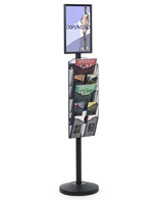 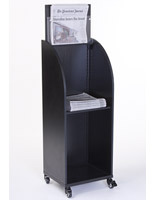 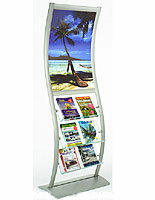 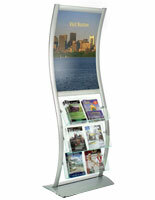 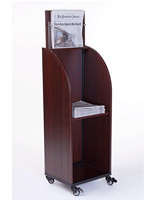 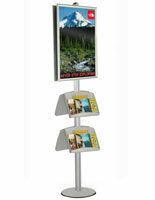 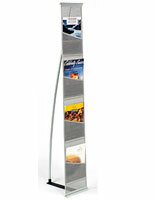 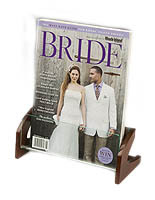 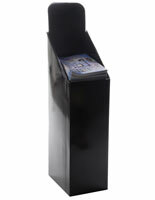 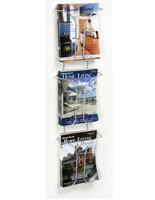 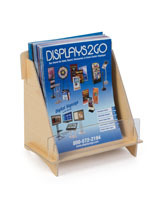 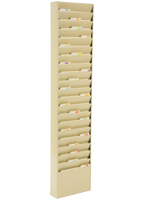 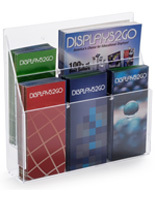 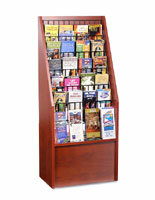 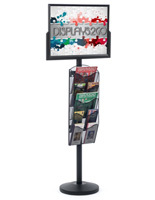 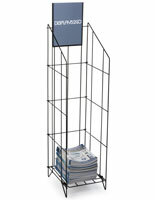 Our cheap magazine racks are offered in a number of designs to meet the needs of any user. 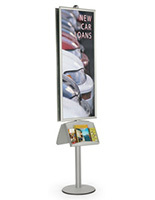 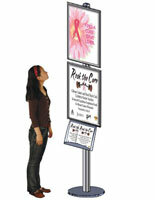 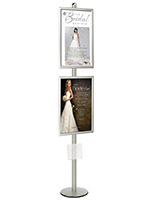 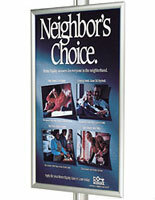 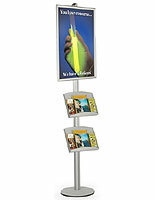 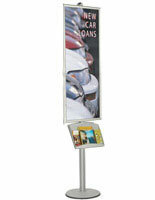 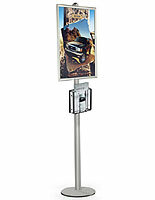 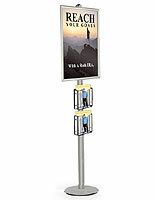 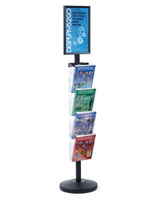 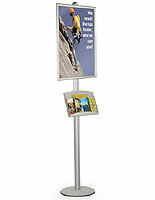 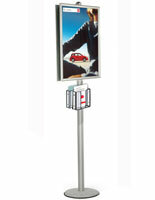 Literature displays are offered as floor stands, countertop holders and wall mounts to fit in any environment. 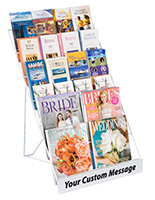 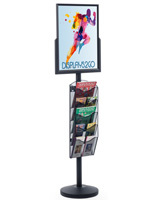 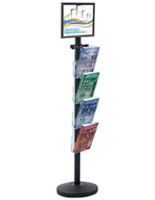 For extra promotional space, some cheap magazine racks include sign frames, increasing their ability to attract passersby. 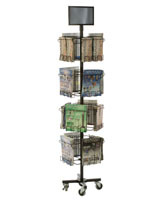 With fabrications of metal, wood and cardboard, there are a number of different fixtures with a range of prices for any buyer. 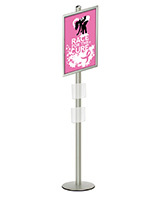 Some holders have a portable design for bringing to events with ease. 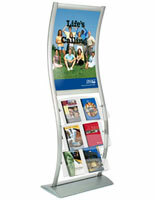 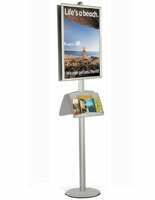 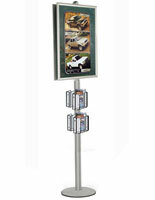 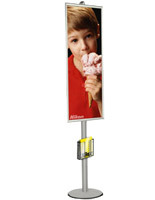 Additional features with these displays include wheeled bases, outdoor-safe constructions and double sided pockets.